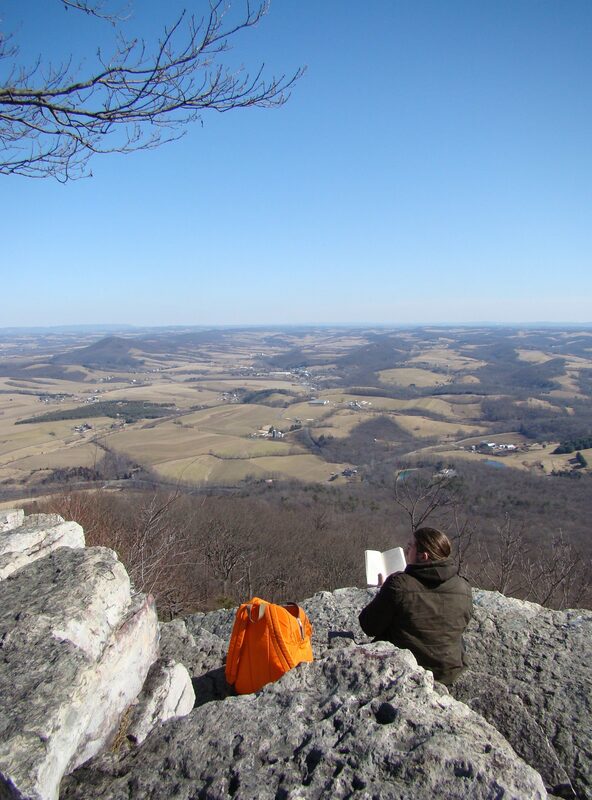 The Teen Naturalist club of the Delaware Nature Society ventured to the Appalachian Trail on Monday. We hiked the famous Pinnacle loop, which is an 8.7-mile hike to one of the most scenic overlooks along the trail in Pennsylvania. You have to stop to look, however, because if you take your eyes off the rocky trail, you are going to trip for sure! It is a 5-hour hike, but we did it in 4 hours, even with a 20-minute search for a lost wallet. The Teen Naturalists learn how to hike safely in a group, stay together, and know how to have a good time. 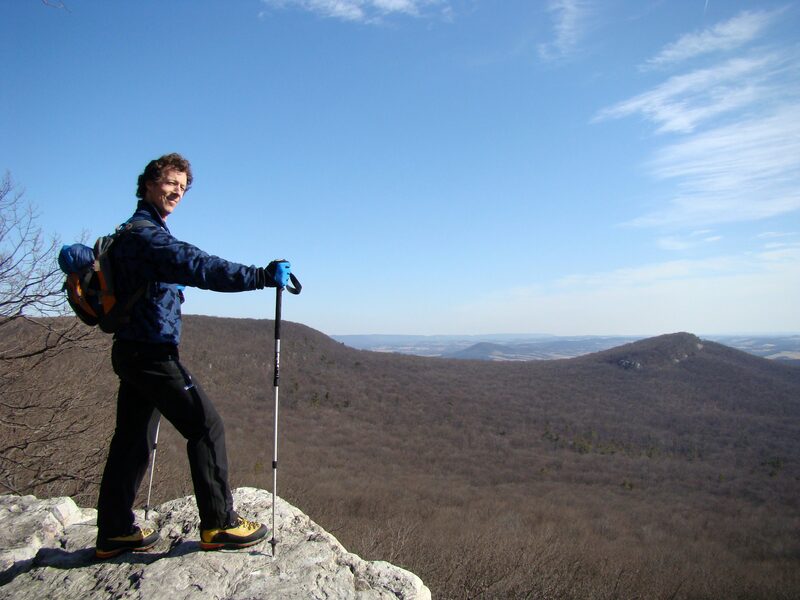 Some of the slopes on this hike are steep, and the terrain is jagged and boulder-strewn in spots. After the first few miles of the hike, in which you climb about 800 feet in elevation, the trail levels off and is easy. 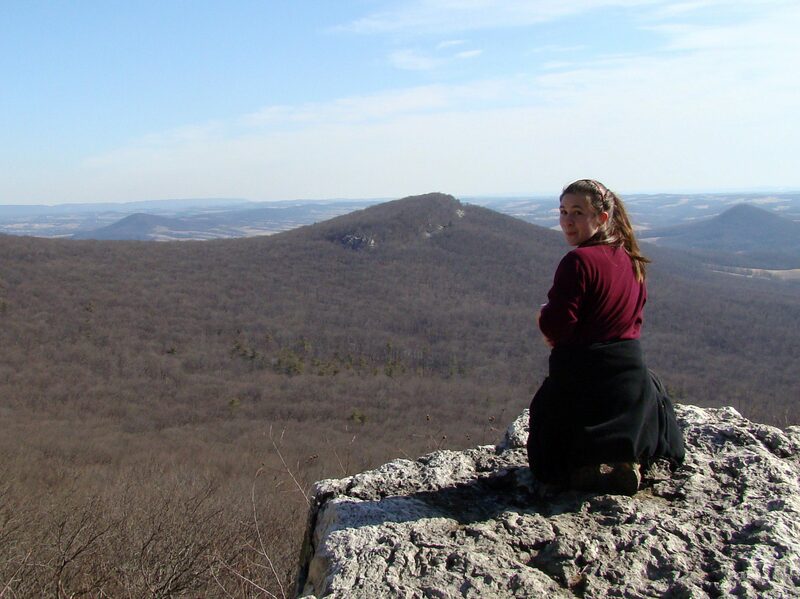 You pass Pulpit Rock, then gradually ascend to the Pinnacle, which has an outstanding view of farmland in the valleys, the Kittatinny Ridge to your left, and the Reading Prong hill formation to your right. You can see Allentown about 30 miles away in the distance. The route down the mountain is a gradual slope along a bubbling, Rhododendron-lined clear stream. Eastern Hemlock, the Pennsylvania state tree, line the creek as well. Hemlocks in our region are seriously afflicted by exotic woolly adelgid insects, which weaken and kill the trees over time. We did not see adelgids here, but the trees did not look as lush as they should and probably have been attacked by the adelgids in the past. Teen Natuarlist adventures are a great way to get high schoolers outdoors, have fun, and learn about our environment. 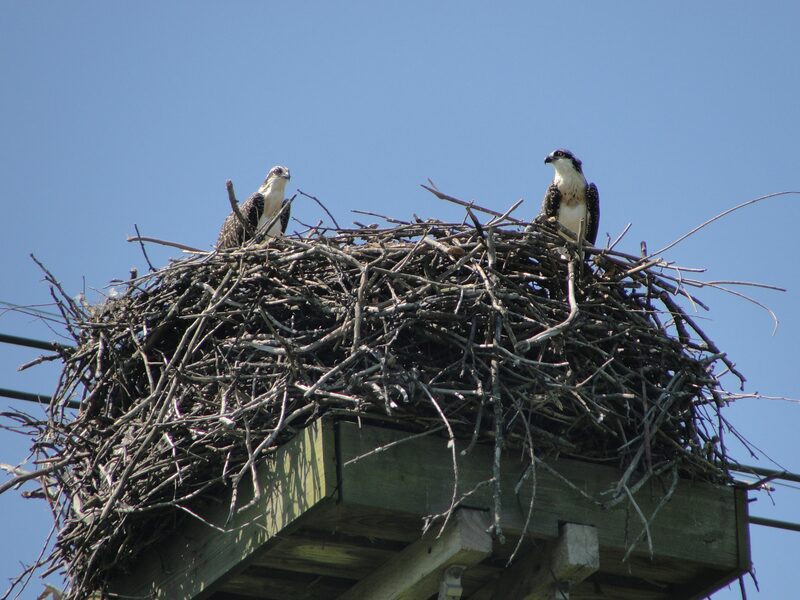 The Delaware Nature Society takes great pride in the programs we offer for teenagers. Know a teen? Contact us if you think they would like the Teen Naturalists, Summer Camp Counseloring, or our Young Waterfowlers program. How to Count a Million Blackbirds! The stream of blackbirds passing overhead at Middle Run Natural Area on February 20, 2012. How many can you count? Image by Derek Stoner. There are a lot of natural spectacles for which Delaware is known: Horseshoe Crabs spawning en masse, hordes of Snow Geese whitening the sky, and clouds of mosquitoes blackening your skin (kidding about that last one). But one of the most notable and least well-known of the First State’s nature shows is that of the immense blackbird flocks wintering here. Every winter evening in Northern Delaware, observers can see flocks of blackbirds heading back to their traditional roosting areas along the Christina River south of Wilmington. Streams of birds flow through the sky, meeting up with other flocks and forming rivers of birds. Eventually the flowing flocks mass into one mega-flock in the vicinity of the Route 7/Route 58 intersection. At this point, the flock may be more than a half-mile wide and flow overhead for more than one hour before dusk. In the past, research featured in The Birds of Delaware has placed estimates on the size of this wintering blackbird flock at more than 300 million. My challenge this past Monday night: could I devise a way to count the blackbirds at one point in their flight path and come up with a conservative count of one of these blackbird masses? Yet another segment of the blackbird flock photographed on February 20, 2012 at Middle Run Natural Area. How many are in this frame? 386 to be exact! Image by Derek Stoner. Arriving at the Middle Run Natural Area parking lot at 5:15pm, I found a constant stream of blackbirds flying directly overhead and flying to the Northeast. A half-mile to the north, another stream of blackbirds flowed by on the other side of the Middle Run Valley. Positioned near a tree, I set about observing the way the flock was flowing by. I used my digital SLR camera to take photos of sections of the flock directly overhead, and found that every frame captured about two seconds of the flock’s passage– meaning that an individual blackbird travelled directly overhead through my camera’s field of view in two seconds ( By looking at unique clusters of birds I could follow them through each photo frame). Another section of the blackbird flock streaming overhead at Middle Run on February 20, 2012, this time with 323 blackbirds counted. Image by Derek Stoner. To count the number of birds in each section of the flock, I took a series of 5 images two seconds apart. 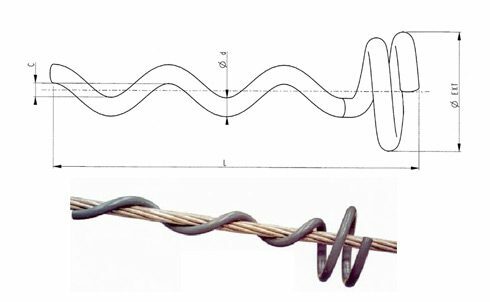 This helped to establish a sample of the birds passing by during a period of 10 seconds. I repeated this series three times at random points throughout the blackbird flight, to end up with a total of 20 sample images. The blackbird flight ended at 6:06pm, meaning that for 51 minutes the stream of blackbirds had flowed overhead (with a second, equal-sized flock to the north as well) continuously. There was no break or interruption in the flight. I headed back to the lab (my desk at Ashland), printed out each photo, and painstakingly counted every bird in each image by using a yellow highlighter to mark the individual birds. The first series was revealing, with frames showing blackbird totals of 323, 296,386, 386, and 311 ( I would have guessed more like 150-200 birds per image). The second series yielded 387, 353, 364, 342, and 384. The third and fourth series were very similar, and yielded an overall average of 340 blackbirds per frame. 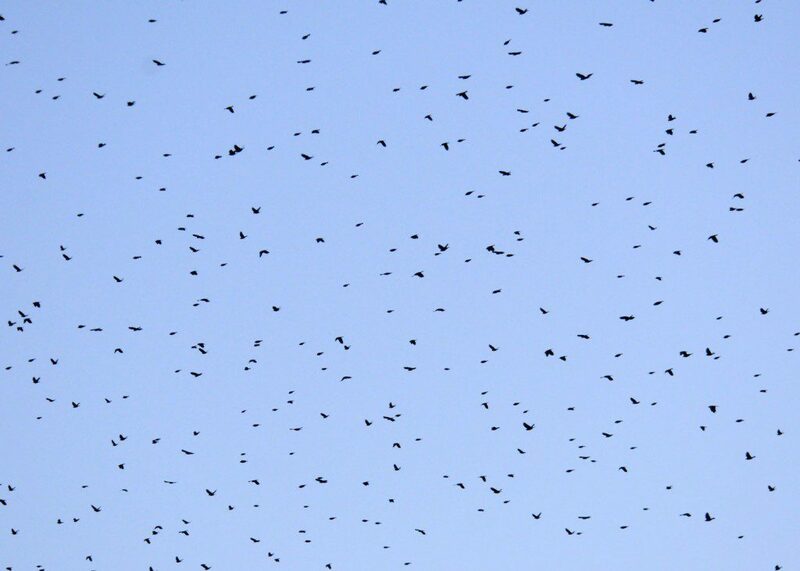 At a rate of 340 blackbirds every 2 seconds, this equates to an average of 10,200 blackbirds per minute. Over a total of 51 minutes of continuous flight, this calculation equals 520,200 blackbirds. 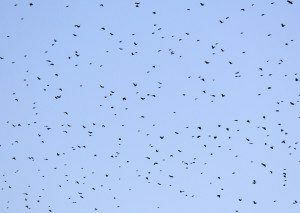 Multiplied by two to account for the other similar flock to the north, this equates to a total of 1,040,000 blackbirds passing by during the period of observation at Middle Run. Here is where the story gets interesting (in case you’ve been lulled to sleep by all the math so far!). 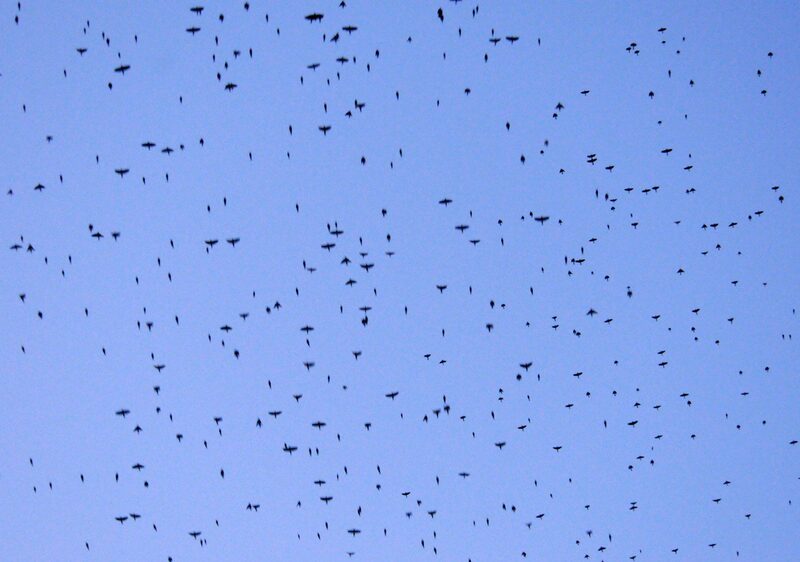 My camera only captured some of the flock passing overhead, so not all blackbirds could be sampled and counted. This fact, in my opinion, helps ensure that I am under-counting and being conservative in the final flock estimate. Careful evaluation of the images helped me discover that an average of 26 Common Grackles were in each flock section, which extrapolates to about 80,784 total Common Grackles in total. Noting that the rest of the flocks consisted of almost exclusively Red-winged Blackbirds (with a few Brown-headed Cowbirds thrown in), this results in an estimated 959,616 Red-winged Blackbirds in the two flocks. I dutifully entered my observations and carefully calculated numbers to the Great Backyard Bird Count, knowing that the numbers would be “flagged” as abnormally high. 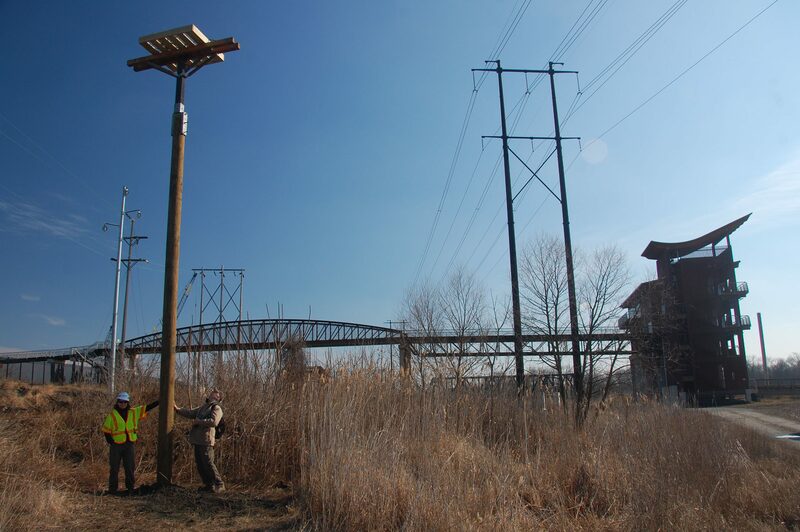 Who really “counts” a million birds at a time? But I know without a doubt that I vastly under-estimated the blackbird numbers that evening, and that if we could view all the blackbirds at once in northern Delaware, there would be many more millions to observe! 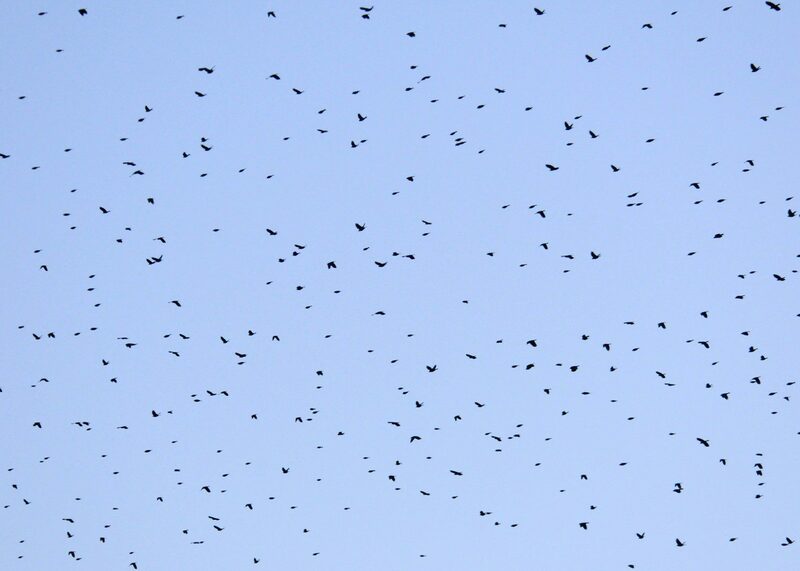 Do you have other ideas or suggestions on how to count the individuals in blackbird flocks? Please share your thoughts in our Comments section! Derek Stoner and I led the Delaware Nature Society’s traditional Breakfast and Great Backyard Bird Count program this morning. 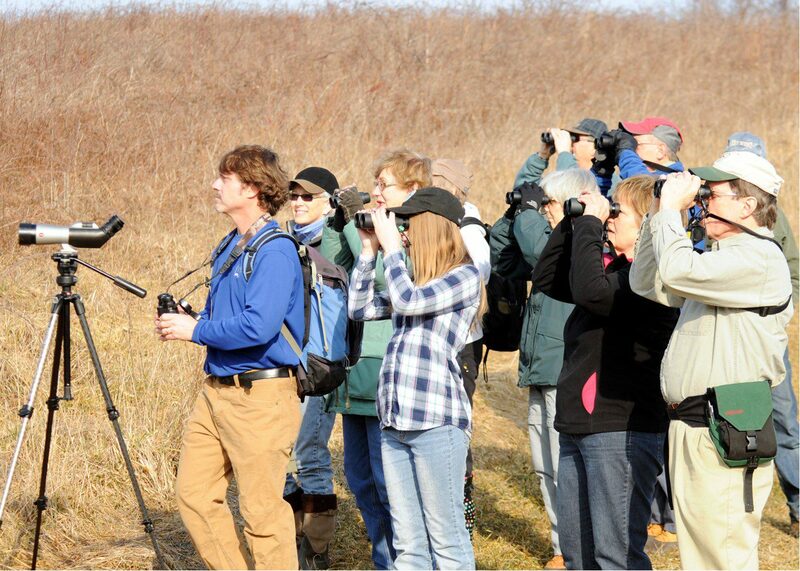 The Great Backyard Birdcount is a continent-wide citizen science bird survey run the National Audubon Society where anyone can participate today through Monday, February 20th. It creates a snapshot of birds in mid-winter useful to science as a way to look at bird trends over the years. Bottom line for us and you…it is fun! After our group of 10 participants enjoyed a hearty breakfast (that Derek and I cooked) of pancakes, eggs, potatoes, scrapple, bacon, and fruit (for something healthy), we went out to bird. 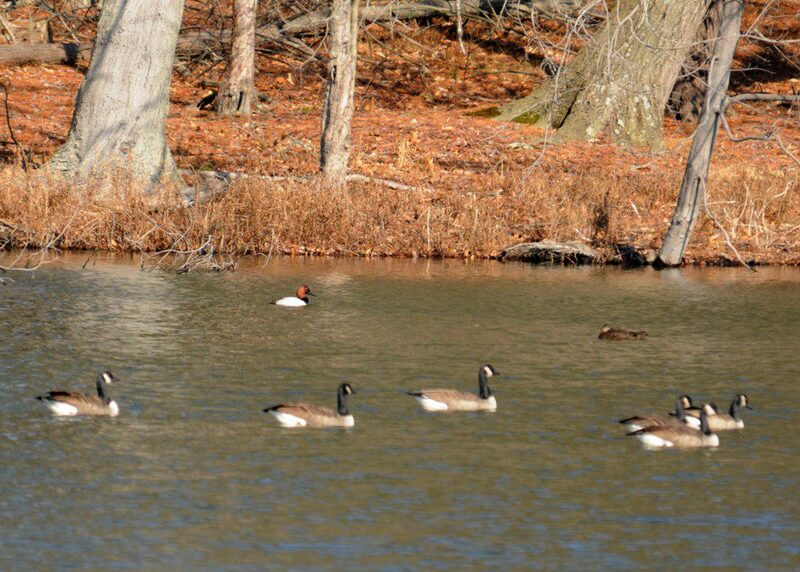 This year we decided to take a walk at the Nature Society’s Coverdale Farm Preserve with a stop at Hoopes Reservoir. We tallied common species as well as unusual. 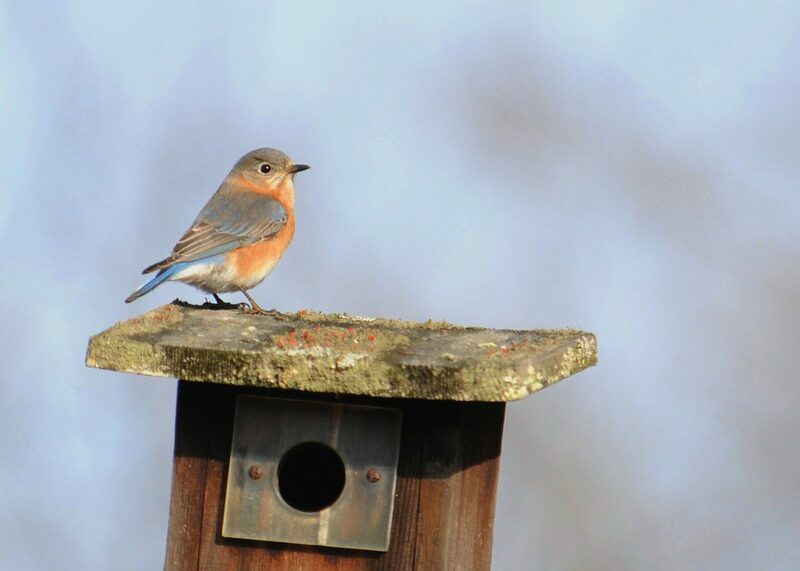 Lots of Eastern Bluebirds were out, and some looked to be claiming bird boxes on this warm February day. Many House Finches were flocking, and some were singing. The House Finch song remains one of my favorites in this area. It was good news to see a small flock of about a dozen Field Sparrows in the overgrown fields. As we finished, two adult Bald Eagles flew over, as did the surprise of the morning, a Merlin, which is a small, rare falcon. At Hoopes Reservoir at the causeway, we found Mallards, Black Ducks, Common Merganser, Bufflehead, Lesser Scaup, Ring-necked Ducks, Pied-billed Grebe, and a male Canvasback, which is a rarity here. You too can participate through Monday. 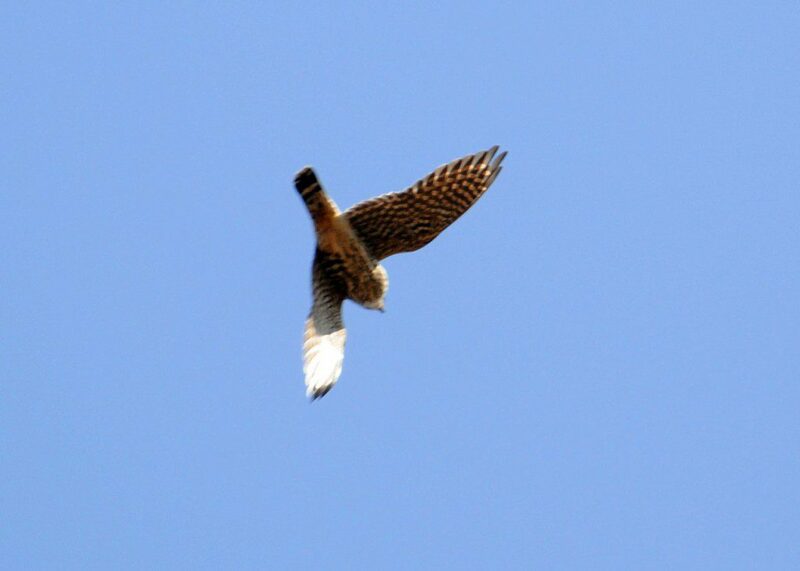 Just look for at least 15 minutes somewhere, and enter your checklist at www.birdsource.org/gbbc. Participate each day if you want, and even multiple times per day. Identify the location you were birding by zip code or nearest town and enter your birds. 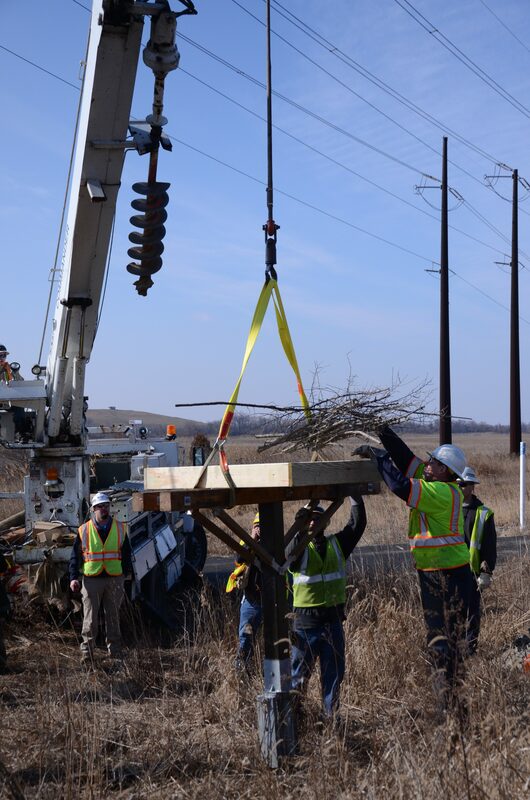 Check out the Results section on the website as well to see what else has been seen in Delaware or other states. Good luck and have fun!